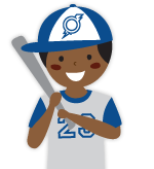 ParentSavvy believes fresh air and America's favorite pastime are important to the development of healthy, happy kids, and now ParentSavvy has partnered with the Omaha Storm Chasers "Lil Chasers." This year's All About Omaha Torchlight Ball will benefit the Methodist Hospital SANE/SART program, the only local nursing program in the Omaha area dedicated to treating victims of sexual assault. There is nothing futuristic about telehealth, the use of technology to connect patients to doctors without an office visit. Fighting cancer can change a person's entire life and alter their bodies in ways they may not even realize. Did You Know Up to 1 Million Hospital Patients Fall Every Year? “Keeping Our Patients Safe From Falls: It Takes a Team,” a new staff training video produced by MHS Marketing, can be viewed on the mhsintranet as well as the MHS YouTube channel. The MHS Henry Doorly Zoo discounted membership drive for MHS employees runs February 24 - March 30. Join the discussion on Twitter on Thursday, April 10 at noon using hashtag #SexualAssault. Free events with information and assistance related to living wills and powers of attorney for healthcare will be held at Methodist Hospital and Methodist Jennie Edmundson Hospital. Do you know that more than 100,000 Americans will develop oral, head, neck or thyroid cancer this year? A free screening is available to the public on Thursday, April 24, 4-6 p.m. at Methodist Estabrook Cancer Center. Limited space is available, and preregistration is required.